Technology: Cold Forming Services are metals forming services similar to cold heading in which pressure is used to cold flow metals into various shapes. It is used to make automotive parts such transmission gears, pinion shafts, etc. A number of different services are associated with cold forming, including coining, thread rolling, ironing, swaging, etc. Cold forming is an alternative to forging and machining processes. Advantages: Cold forming services are capable of producing near net shape parts in a variety of metals. 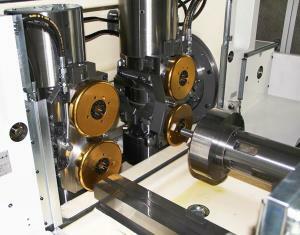 Applications: Cold forming services are used to make many parts in the automotive and aerospace sectors.